I think it's safe to say that spring is here since it has been quite warm for the past couple of weeks. 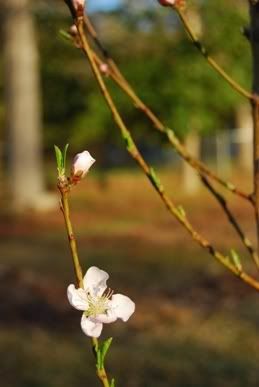 Even the nectarine trees that we recently planted in the front yard have blossomed and filled out with bright green leaves. While these trees aren't officially planted in honor of Christian, I just can't help but smile when I look at them. *sigh* I think about Christian all the time. Everything reminds me of him. I just miss him, y'all. I hope you don't get tired or depressed from hearing about him, but talking about him just makes me happy-- even if I cry at the same time. Okay, back to nectarines! I really don't believe that Christian loved nectarines solely for their juicy, sweet flavor. 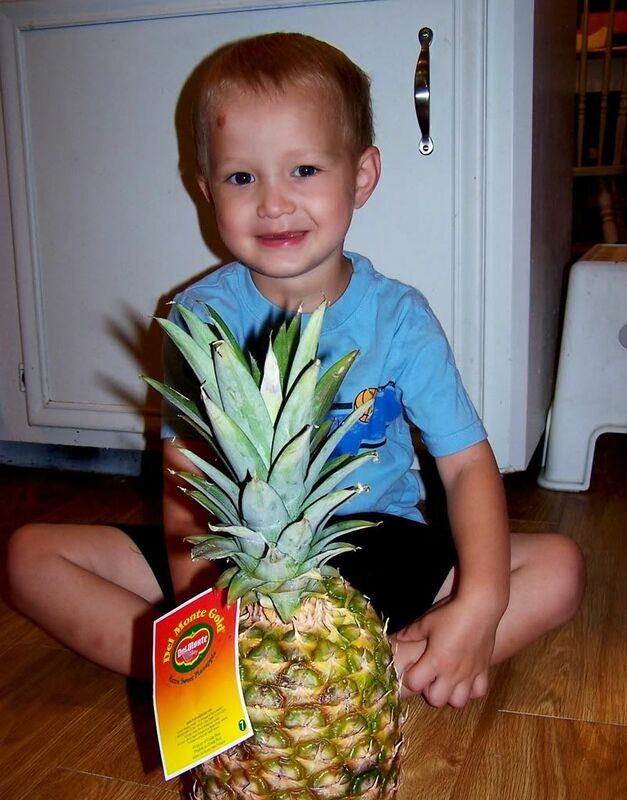 He loved them "fo' da big giant seeds mommy! Wooook!" Then he'd proudly hold up the large, sticky seed for me to examine and laugh his little head off at how amazing a discovery he held in his hand. He did this every single time. I just love how simple (and silly) boys can be-- give them some dirt, rocks, shovel, waterhose and anything unusually large (or small) and they are entertained for hours on end! I hope the trees survive my lack of a green thumb. And wouldn't it be a blessing to actually have fruit on that tree? But if for some reason it shrivels up and turns a crispy brown before I get even one plump nectarine, it's okay. It's just a tree. If our life doesn't turn out exactly like we expect this side of Heaven, it's okay. There is more to real life than the here and now. 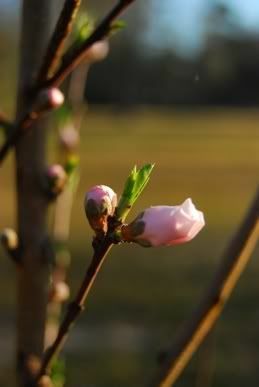 Sunshine and rain and life and death, they are not in our hands-- those things are in the hands of GOD! We are simply the creation and He is the Creator... a Creator with a plan, a perfect plan. A tree might lose its leaves in the winter but that doesn't mean it is dead or broken. 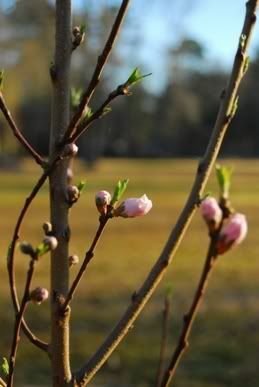 God planned that in the glorious spring that same tree would bring forth blooms that are fragrant and beautiful; and in the summer, be full of delectable fruit. This life is not all that there is-- after the here and now comes real life, the life that truly matters-- eternity! I am determined to make the most of this here and now, this side of Heaven.. to soak up the Sonshine (sorry, couldn't resist that one- hehehe) and use this trial to grow. It sure hurts at times but I know that in the end it will be worth it. Actually the more I pray and seek God, He is so good to give me comfort and blessings (and grace and love) right now-- without having to wait for eternity. Whatever trials and worries you have in your life, lay them at God's feet. He wants to carry your burden for you. He wants you to know Him and to know His Son Jesus Christ personally! Won't you let Him bring light to your winter? You don't have to walk alone.